Dong, the man behind the wok, is passionate about feeding people. 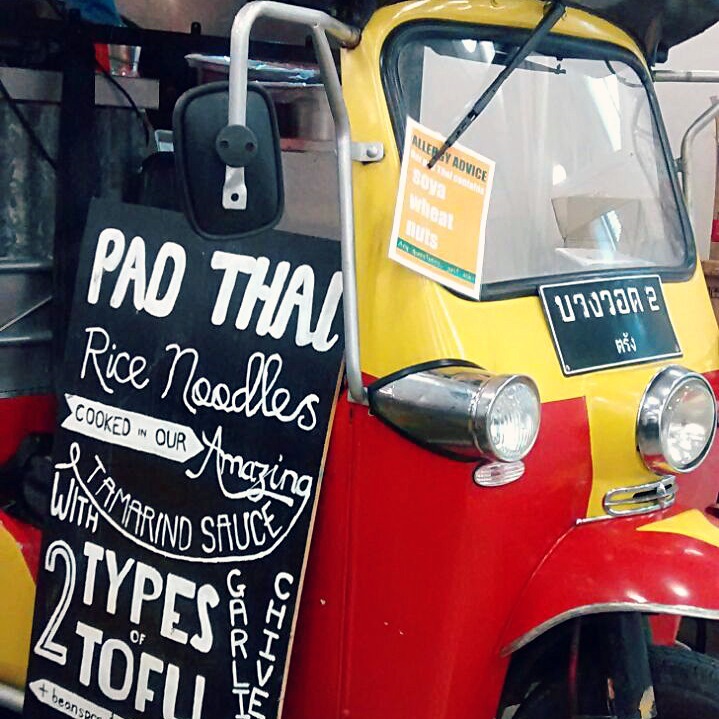 He wants everyone to taste proper Thai, cooked fresh with the right ingredients. 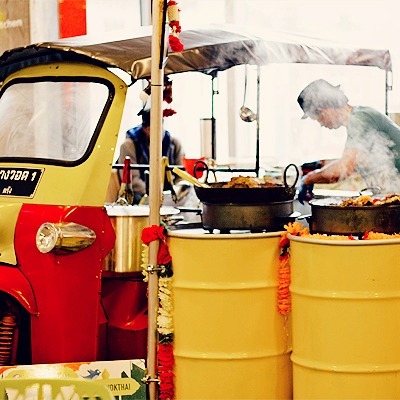 When he started Bangwok, he dreamt of riding around London in a tuk tuk, honking his horn and feeding hungry people whenever they flagged him down. 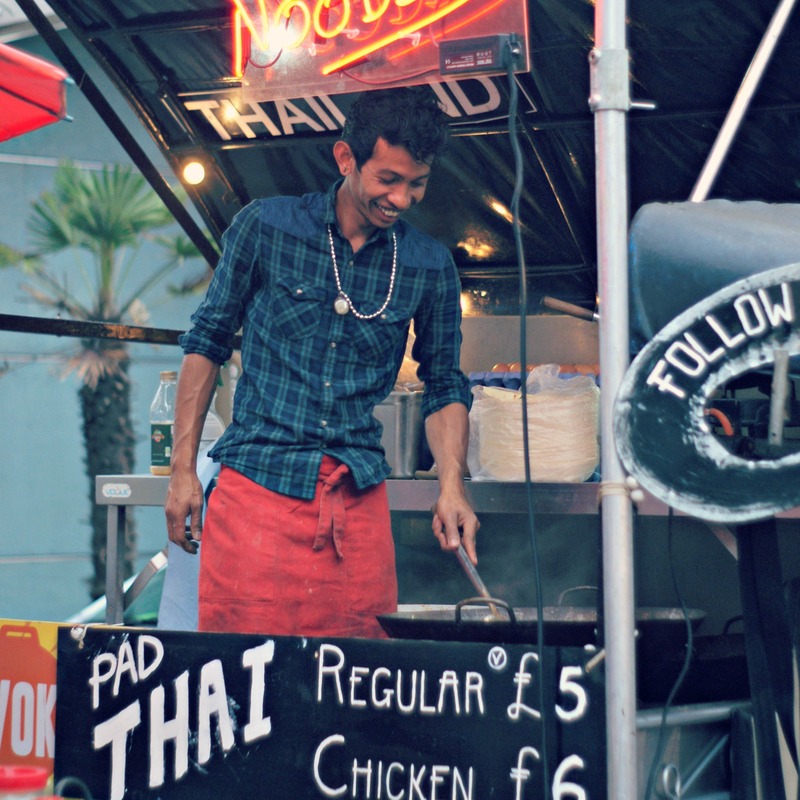 It hasn’t quite worked out that way… instead, the hungry masses flock to him as the word spreads about BangWok’s perfect pad thai. 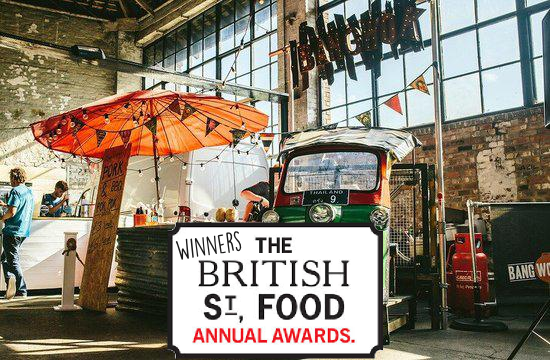 In 2015, Dong parked his tuk tuk and fired up the woks in Bangwok’s first proper home in Leeds. Come down to Bangwok Leeds for an awesome lunch! 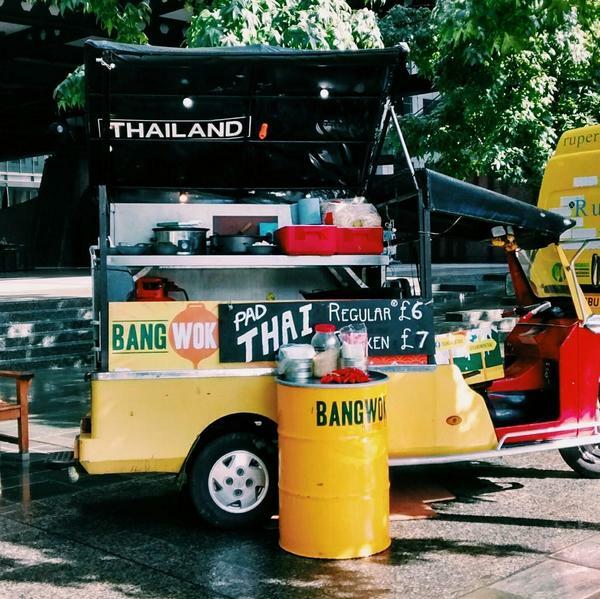 Let BangWok bring the vibrant fun and flavour of Thai street dining to your event. 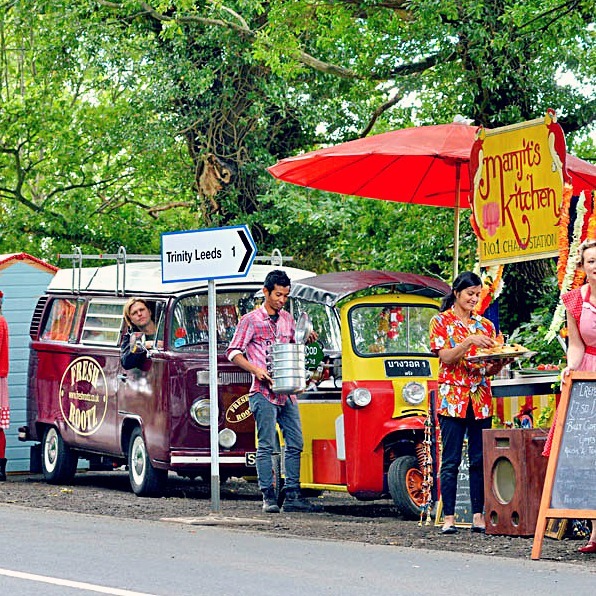 We’ll pop the roof on our converted tuk tuk and cook your food fresh on-site. Whether you’re planning a 40th birthday party, a wedding reception or a corporate do we can create a menu to suit your budget and requirements. 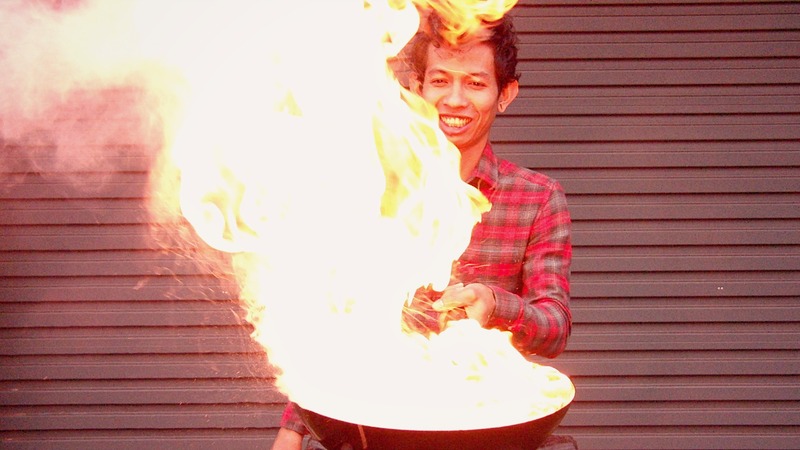 There are few street shows as theatrical and hunger-inducing as Bangwok’s. 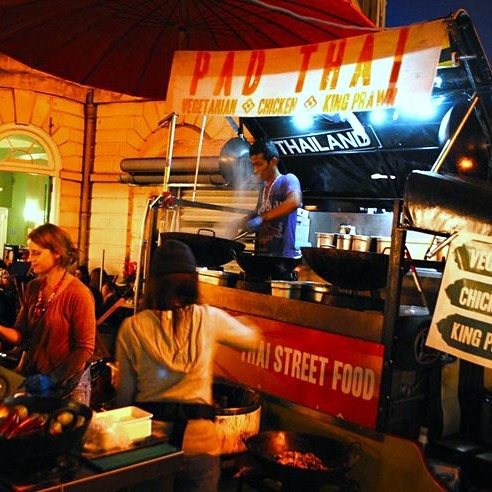 The pad Thai is delicious, the spirit and enthusiasm shining through.